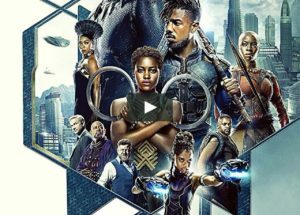 The latest in the Marvel movies to hit the screen, Black Panther, has been listed as the highest-grossing solo superhero firm of all times, with worldwide profits reaching over 1.2 billion dollars. Although the film had its premier in January of 2018, the native son of Wakanda has been around since in1966, when Marvel’s first Black superhero made his debut in the Fantastic 4 comic. By 1977, the popular figure had earned his very own comic. Given the obvious onomastic connections made between the real-life Afrocentric political movement lead by the Black Panthers and the fictional war waged by the fictional superhero, Marvel tried to change the character’s name to Black Leopard, but the name change was evidently rejected by fans, causing Marvel execs to concede defeat and re-adopt the name “Black Panther”. Read more in this article at History.com!